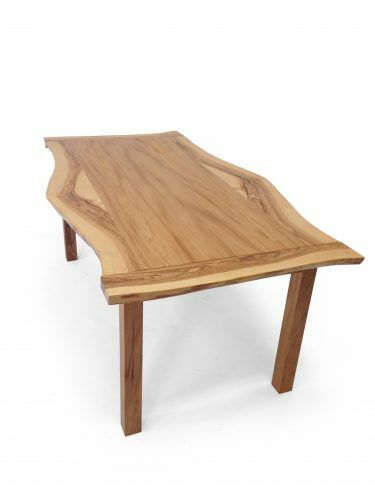 We made this dining table for a client who had a Golden Raintree fall in the backyard of her childhood home. The tree had been present for all the kids growing up and when it fell they asked us to make a number of pieces from it. This table reflects the last of it. The outside edges and breadboard ends are the golden raintree and the main part of the top is elm from New Haven’s 9th square, where her fiancee’s family is from.